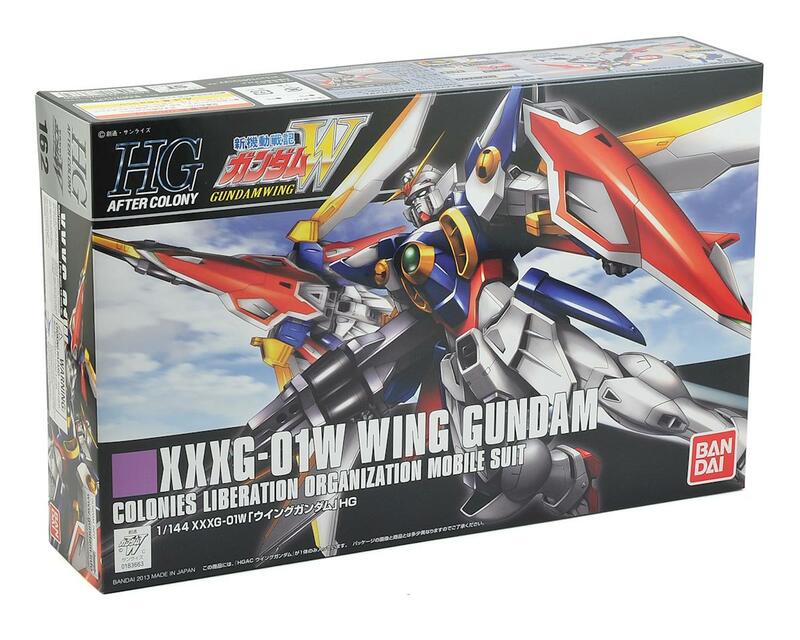 The Bandai XXXG-01W Wing Gundam Wing #162 1/144 High Grade Action Figure Model Kit, a model of the titular MS of Mobile Suit Gundam Wing. Distinctive design and chest intake faithfully reproduced, with center camera and main camera parts created using clear elements. 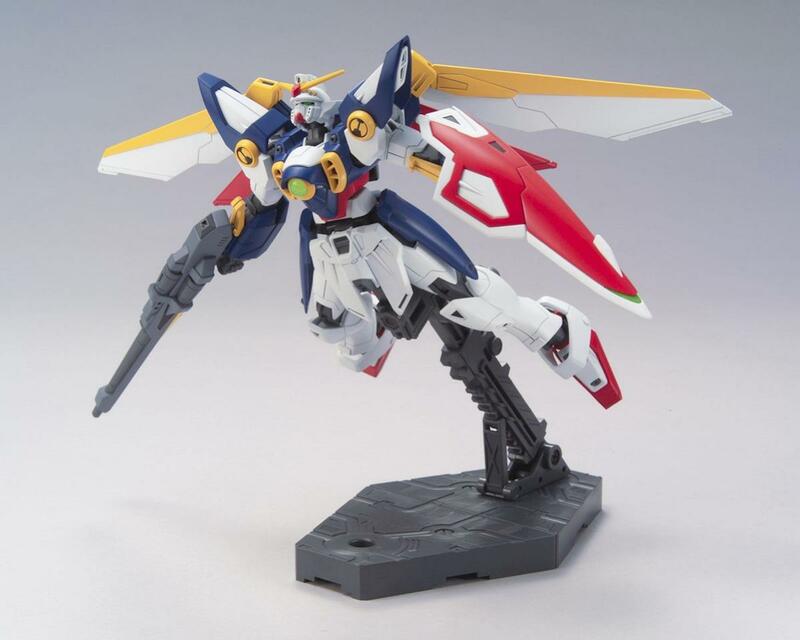 The model can be displayed in "bird mode" and wings can be spread and positioned for action posing. 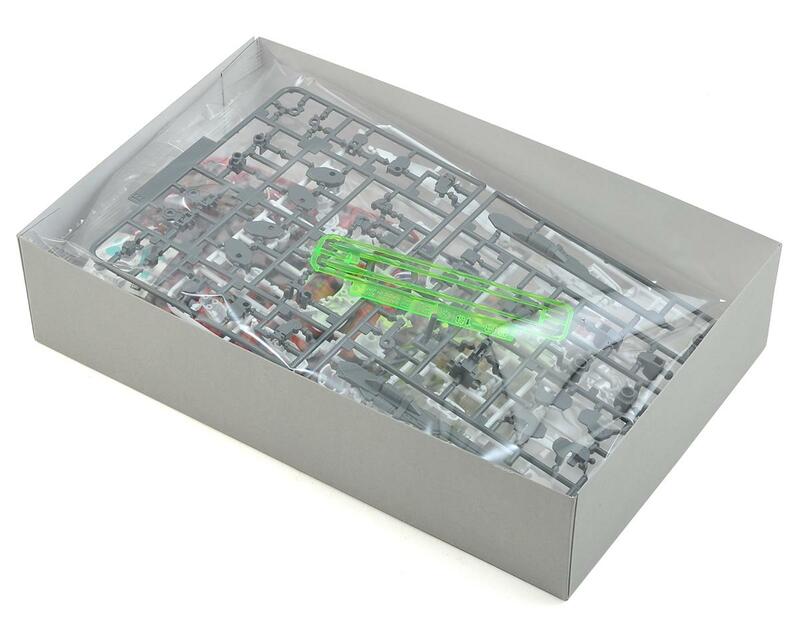 Kit includes the Buster Rifle, Beam saber and shield. Colored parts do not require painting to finish and pens can be purchased to add details.